The Tuesday after Christmas, I spent a few days at the beach with other Americans (and one Brit) working in various organizations here. And as it turns out, they are all birders! So I got some very good guidance on local birds. So most of these we saw out near River No. 2 between reading, eating, swimming, and good conversation. 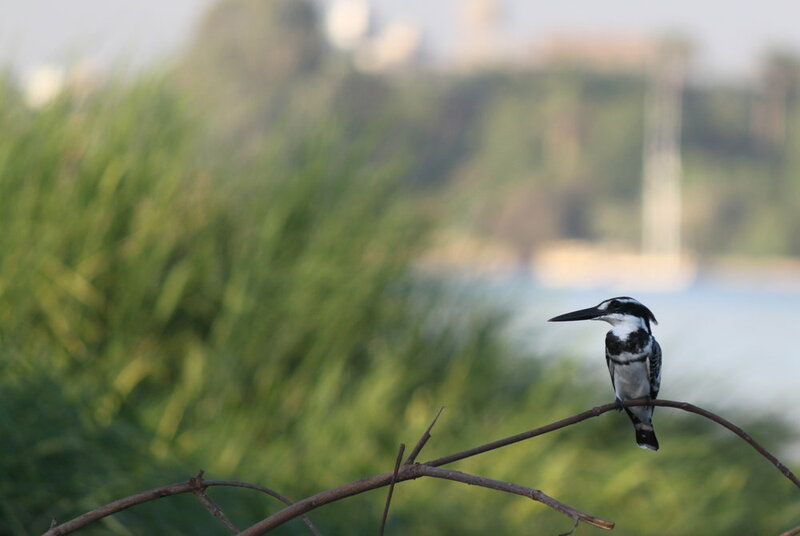 I like Kingfisher because of their beaks. I just feel like at any minute they might topple over. That's a big beak, man. This little guy showed up in the tree just at the edge of the ocean. We were staying in a little cove that made for quiet and calm waters. And I saw it's black and white coloring but couldn't identify it. When it moved I moved. Even got into the water so that I could get a good look. That black and white really stood out in the midst of all that beach color. This one I think is my favorite sighting so far. I road in with a few women who were staying just for the day. When we got to the beach, we were sitting in the open air restaurant and this little guy flew in and landed on a lightbulb. I was the only one who saw him. I got a gooooood look at it. It was hanging upside down just like the sunbirds did right outside my window at home. But this guy was a solid three times bigger than those sunbirds at home. Too big to be a sunbird. My friend Cami, who arrived later that day, also thought that it was too big to be a sunbird. I told her I saw a bird with a beak like a sunbird but bigger. She said, "Was it green?!" I said yes. She said it was probably a bee-eater. Then when I described it to her, with the olive green wings, and shimmer green head and white breast, it sparked a lot of confusion. 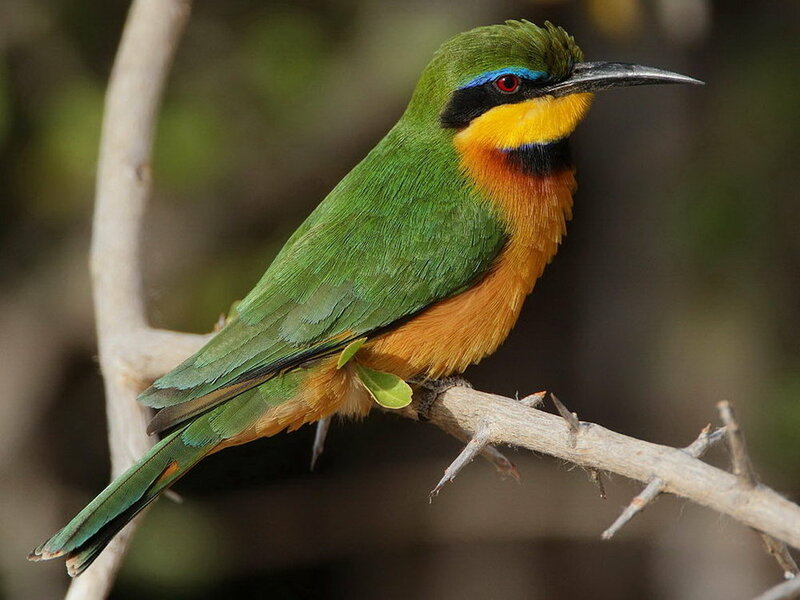 Couldn't be a sunbird, but surely wasn't a bee-eater. But I searched and searched my book and no alternative could be found. So I started to feel like maybe I just made it up. Looks like a sunbird, acts like a sunbird, but one heck of a mammoth sunbird if it was true. Then right before we left two days later, that mammoth sunbird showed up again. Right in the same spot hanging sideways and upside down from the lightbulb and ceiling. Of course, again, I was the only one to see it. So if you trust me, I saw a gimondo green-headed sunbird on the Sierra Leonean coastland. And it. was. awesome. I fell in love with egrets at Brushy Creek in Round Rock. They are so peaceful to watch. There are a lot of white egrets here as well. But my favorite is the snowy egret for it's funny little yellow feet that it uses as a lure when hunting. I don't think they have the snowy egret here. I watched one back in the spring dance around for a solid few minutes in the water until it's little yellow feet had done the trick and attracted some fish. It was the funniest display. And so delightful. This heron isn't much like that. It's dark and slow and just watching it slows you down too. So beautiful. But the yellow feet made me feel like a little bit of home was here with me. These are ocean birds. 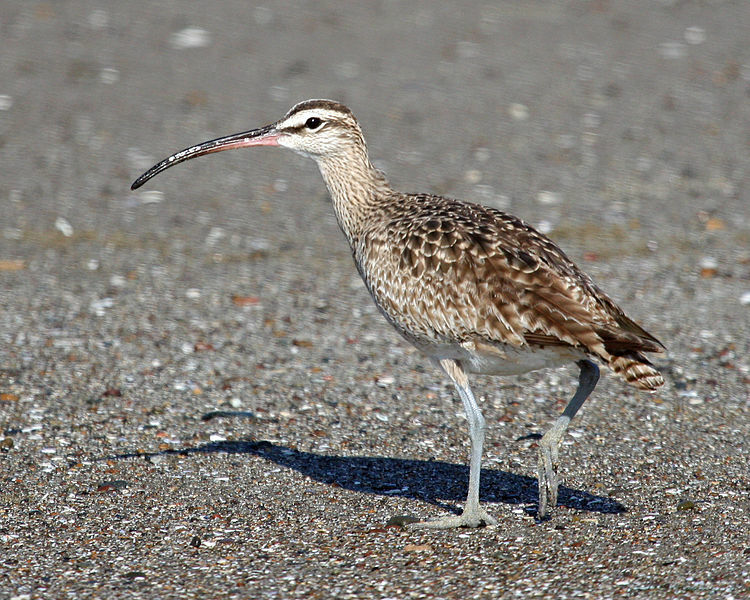 They are a lot like the Eurasian Curlew, except the Whimbrel has the black stripes on it's head. I didn't get a good close look of these but am assured by my new friends that that is what we saw. These were another bird that I saw from afar and was assured that's what they were. It was the one that Cami assumed I'd seen that first day (which turned out to instead be the mammoth sunbird). They have a distinct wing shape and are very playful, often diving and flitting after one another in the air. I saw them a little better with binoculars but didn't get a good look at all their colors and shapes. So I just decided to put it on the list and assume I'd get a better look next time I made it out to Cockle Point again. But just like that one appeared on my electric line outside my house in Freetown. I saw it a few days ago and pointed it out to my driver, Navo. Navo has learned that when I point out a bird he ought to just stay put until I'm ready to go. I felt like an old pro. "You see that bird? That's a Little Bee-Eater." And then as if it knew it had an audience, it changed position on the line so that we could see it's colorful breast. I was ooh-ing and aah-ing. Navo seems less amused with birds than he is with my reaction to them. He's gonna catch the fire. I know it. So this one is the most prolific that I've seen in Freetown. They're all over the beach. They're on my walks in the neighborhood. They're flying around on every drive I take. They're everywhere. I first ID'ed them as a Black Kite, but got a better look the other day at their yellow beak. So I *think* it's the Yellow-Billed Kite. Or maybe I've seen them both. Their tail-feather shape is very distinct and they're very big. I think they will go down as the bird I most associate with Sierra Leone...Freetown at least. I like them. What I like about them is that they're not buzzards. Most of the common birds of prey I saw most often at home were buzzards. Thanks for not being a buzzard, Salone Kite.